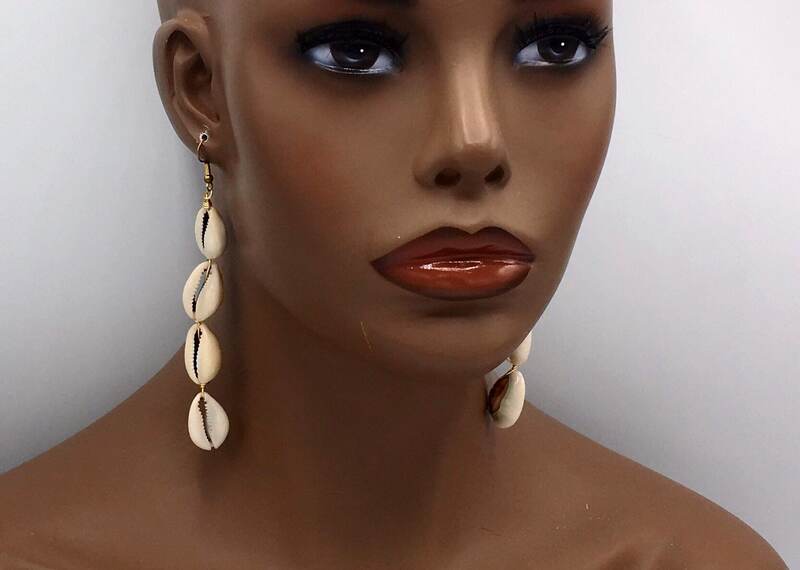 This pair cowrie Earrings dangle approximately 4.5 inches with gold plated ear wires. 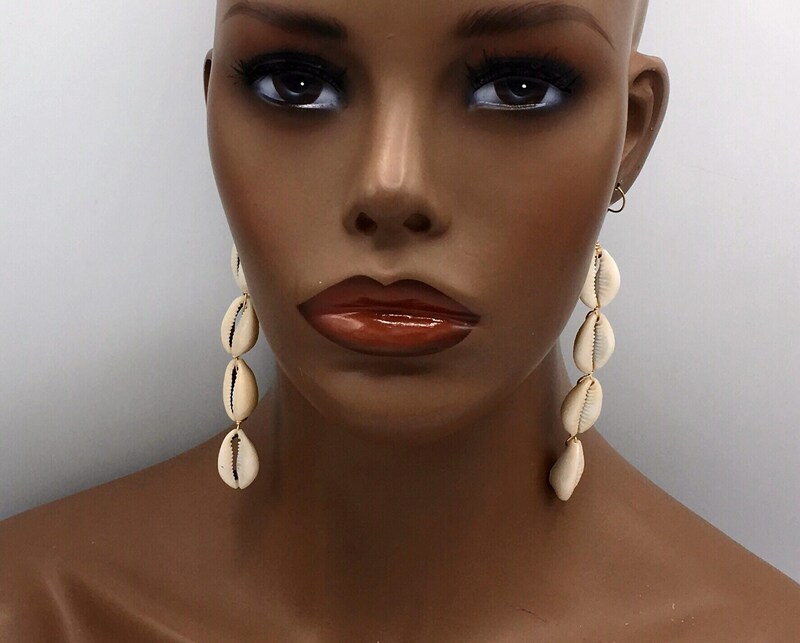 The cowrie shell has many uses and meanings. It has been used as a form of money, in making jewelry, and religious accessories in almost every part of the world. The Shell is found on the islands of the Indian Ocean and was popular throughout much of ancient Africa. 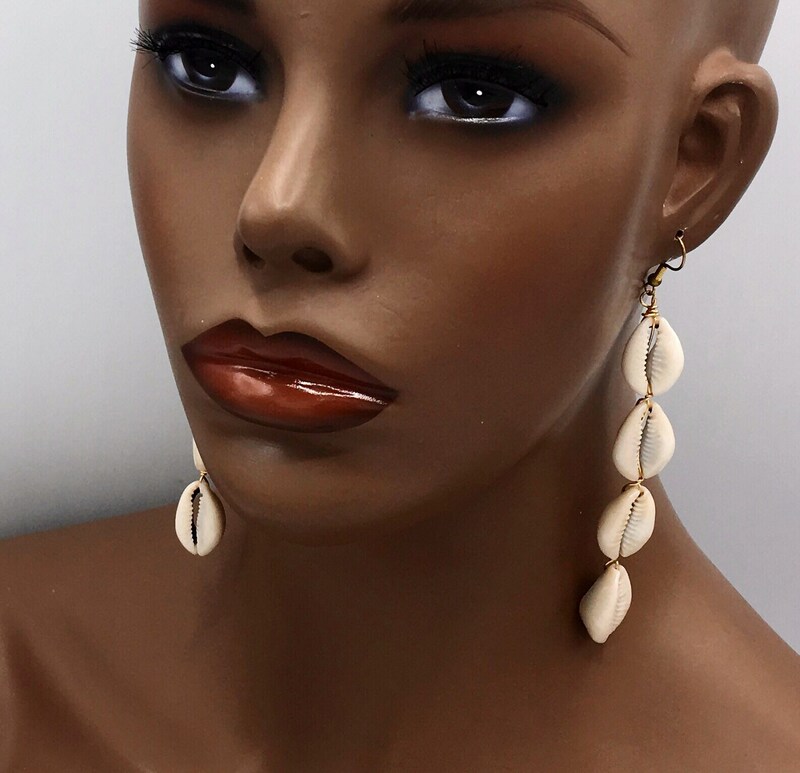 According to African legend, if you are attracted to cowrie shells you could be family to an Ocean Spirit of wealth and earth. It also represents Goddess protection which is very powerful and connected with the strength of the ocean. Throughout Africa, South and North America, the cowrie symbolized the power of destiny and prosperity.